Whether performing Contemporary music, the beautiful songs of Brahms, or the ancient music of Hildegard von Bingen, Karen Clark beings the same empathic ability to express both the meaning of the text and her own personal interpretation of the music with equal passion and vigour. Clark's exquisite technique allows her to produce a variety of colours throughout the range, and to alternate between light and dark in all the registers. American mezzo-contralto, Karen Clark has performed in prestigious festival and concert series throughout the world in repertory that spans medieval music, 19th century German song, and new music of the 20th and 21st centuries. Recent performance highlights include the contralto's premieres of song cycles: For Nothing by Fred Frith,Parable by Ben Johnston (Extended Just Intonation), For All by Allaudin Mathieu, This Bubble of a Heart by Robert Morris, and Cold Mountain Songs by Roy Whelden. In October 2012, Karen premieres another song cycle composed for her by Joseph Schwantner, titled,Dream Drapery: Songs on Thoreau. Karen's rich and varied career began when as a graduate student in Indiana University's opera program she sang the roles of Erda (Das Rheingold), Prince Orlofsky (Die Fledermaus), and La Principessa (Suor Angelica) and, concurrently made her New York debut in the role of Maria Mater in Thomas Binkley's reconstruction of the medievalGreater Passion Play (Carmina Burana ms.) Andrew Porter, writing forthe New Yorker, praised her "fearless, affecting account." Karen went on to sing with some of the world's leading early music groups, such as, Ensemble Sequentia, Boston Camerata, Newberry Consort, New York Early Music, Pomerium Musices, Project Ars Nova, Waverly Consort, and Joshua Rifkin's Bach Ensemble. After a Town Hall Concert which featured Karen with the Waverly Consort, New York Times music critic, James Oestreich wrote: "The most striking performance was with Karen Clark... who showed an astonishing range of expressive subtlety;" and in a later review, Oestreich acclaimed: "Karen Clark's warm mezzo-soprano is one of the loveliest voices on the New York early music scene." In oratorio, Karen has performed Bach's Mass in B-minor with the National Chorale in Lincoln Center's Avery Fisher Hall; with Rifkin in New York and Western Australia; and most recently with the Santa Rosa Symphony in California. Her recitals of lieder of Schubert, Schumann, Mahler, and Brahms were recently heard in Los Angeles and San Francisco where Karen performed Brahms, Op. 91, Zwei Gesänge, with Kronos Quartet violist, Hank Dutt. In 2008 Karen joined forces with the Galax Quartet to commission new works for contralto and baroque strings on poems of the Northern California Pulitzer-poet, Gary Snyder. The San Francisco premiere of four song cycles by Fred Frith, Allaudin Mathieu, Robert Morris, and Roy Whelden took place at Old First Concerts and featured Snyder who introduced the poems and performed in Whelden's setting of "Berry Feast." 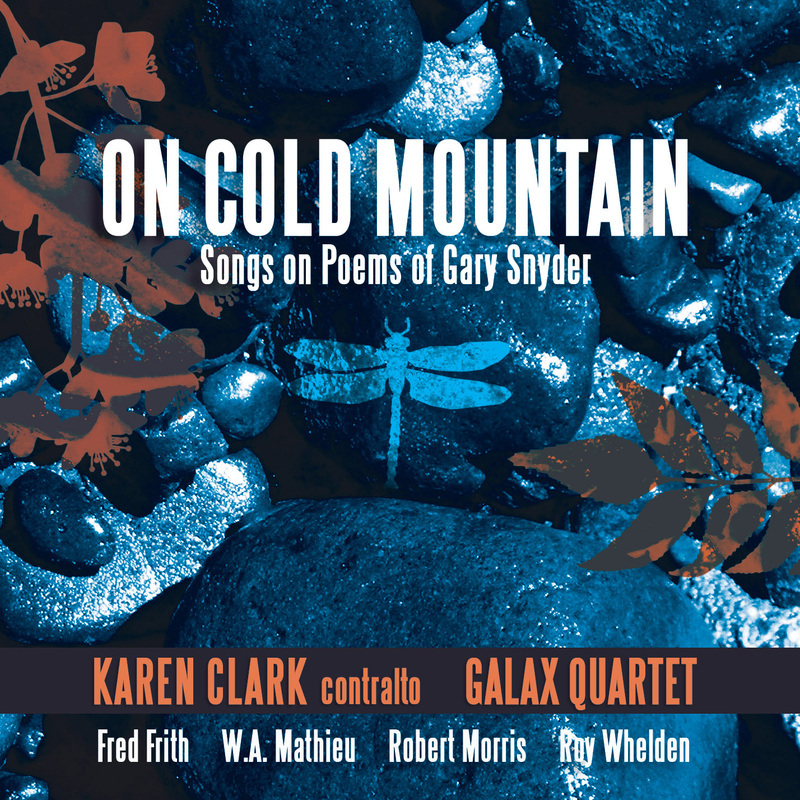 The recording, On Cold Mountain: Songs on Poems of Gary Snyder, is released on the Innova label. Karen is also recorded on Dorian, Deutsche Harmonia Mundi, Erato, Focus, Musica Omnia, and New Albion labels.